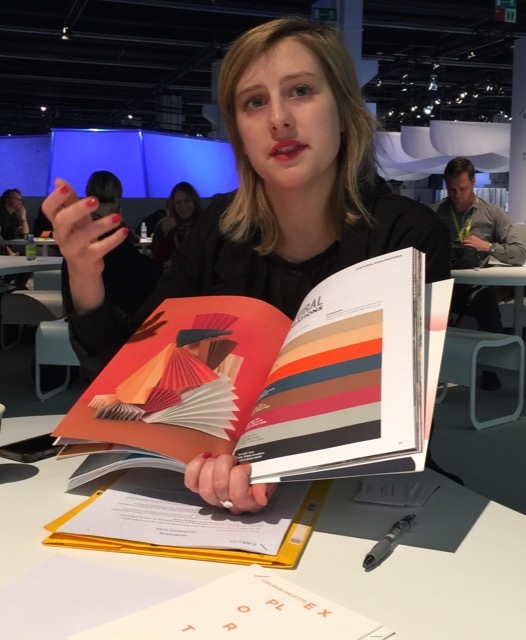 Flavie Benard of Carlin Creative Trend Bureau, a member of Heimtextil’s TrendTable. A push toward quality is in the air. 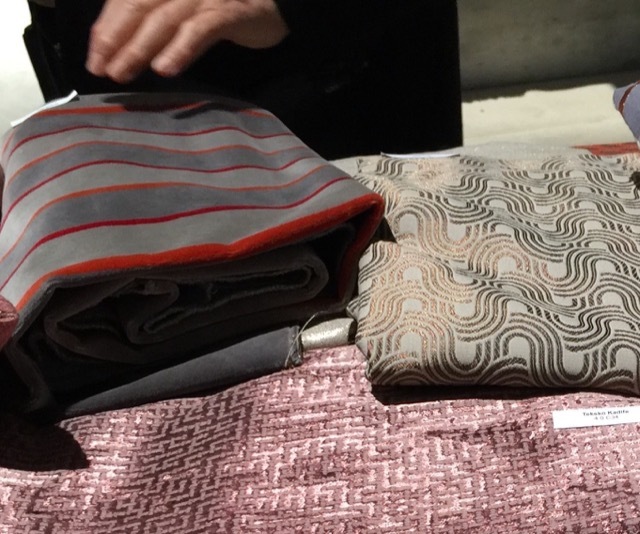 I’m hearing it everywhere I go, from talks by industry heavyweights like Patrick Frey of the famed Parisian-based textile house Pierre Frey during Deco Off to the TrendTable team that predicts the world’s buying tendencies in textiles year after year—and gets is stunningly right each time! 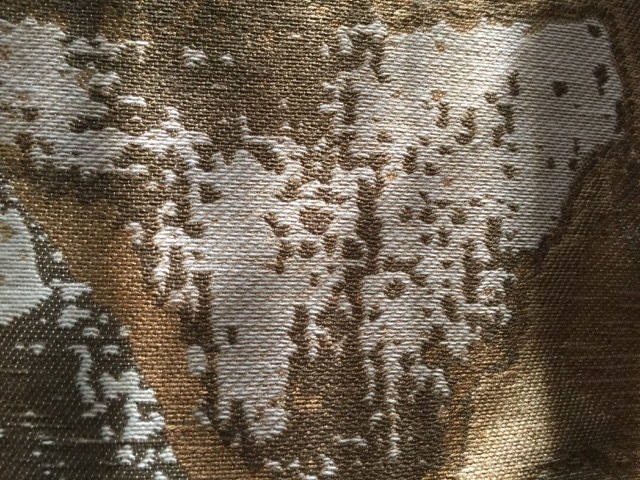 The Natural Exploration identified by Heimtextil’s TrendTable team. 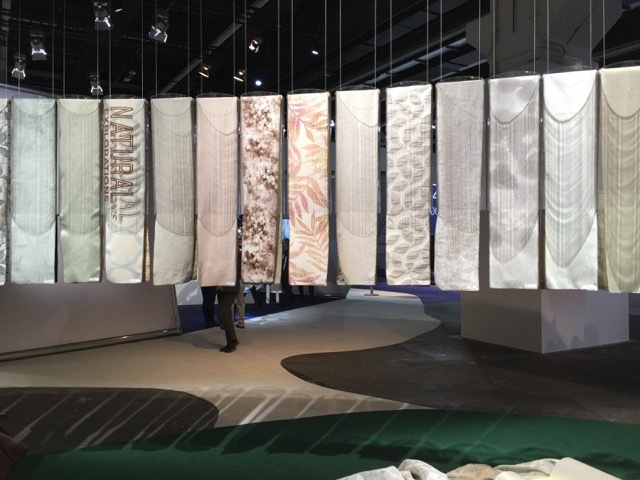 One of the first comments made during Heimtextil, a Messe Frankfurt fair that brings six leading forecasting firms together to identify trends each year, was so on point with our message here at Bruce Andrews Design that I felt buoyant as I listened to what the visionaries had to say. “Given the state of the world, people are going to be buying less but buying better,” said Lisa White of the World Global Style Network. Since a focus on achieving the utmost in excellence is in our DNA, this was music to our ears! A veritable map of the world in textiles fills the halls of Messe Frankfurt during Heimtextil. 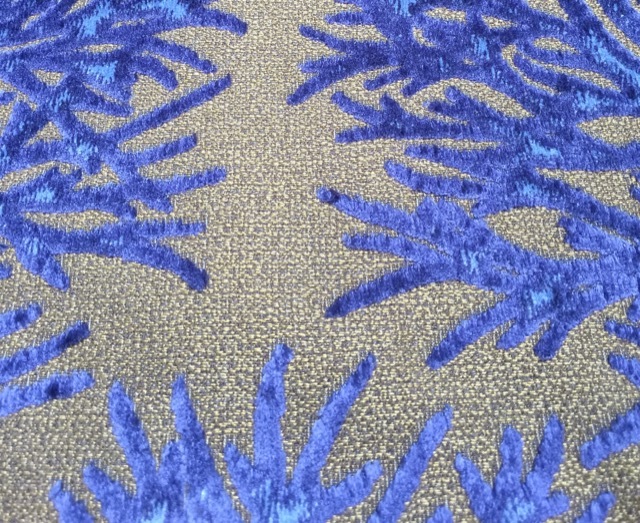 The TrendTable team is excellent at forecasting colors, such as the popularity of cobalt blue. You can imagine how excited this made us, as our intention with every piece of furniture we design is to create such a timeless design and exemplary product that it will become tomorrow’s heirloom—a beloved treasure that will be passed down through future generations. This segues so nicely with the “feel” the TrendTable professionals identified as we all continue to nest deeply in order to feel safe in the world while also being just curious enough that we’re drawn out into the world a bit more than in years past. 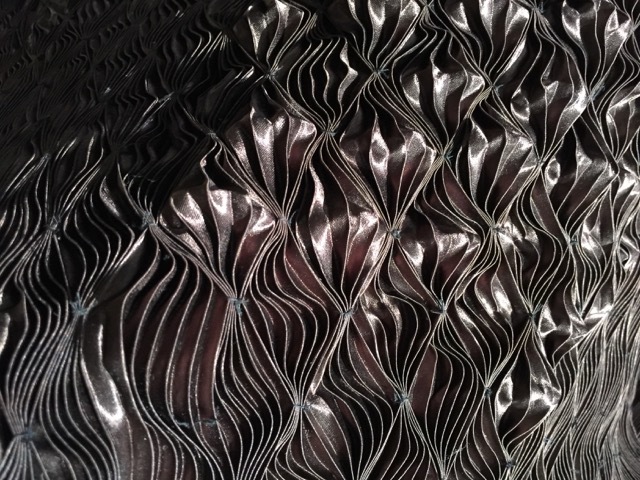 Dark shimmering waves of fabric at Heimtextil. 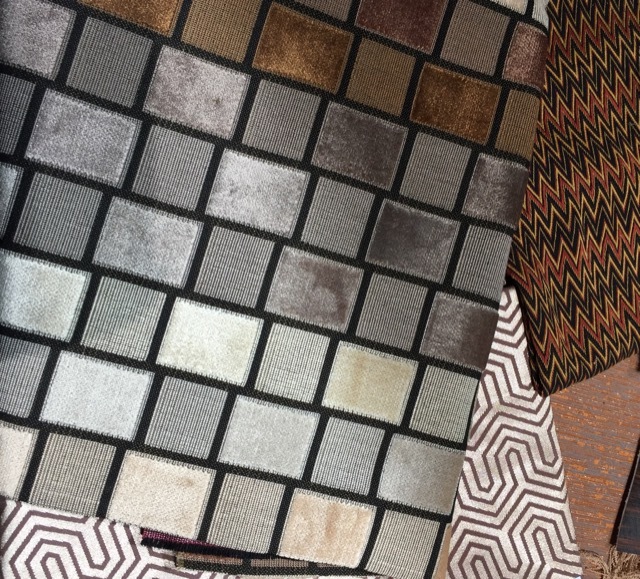 Shimmer was identified as an ongoing trend by TrendTable forecasters. Color is a broad subject and it is wonderful how they tied tones to feelings—from the delight we experience at the golden hour when the sun is setting to a host of nocturnal hues that reflect the silky skies as we go off to sleep. They believe the cycle of life will be more strongly reflected in how we decorate; that life will be more of a work in progress than a drive to finish things quickly, thus the tendency toward choosing antiques and vintage furnishings as the statement pieces in our homes while taking greater care to be certain the new products that serve as the livable anchors in our rooms are lasting ones. Forecasting proves quality will be trumping quantity in the future. Bruce will be sharing his experiences in Paris during Maison & Objet and Deco Off, and during a trip to South Africa next so stop by often to hear his take on the trends he identified as he navigated the globe last month. 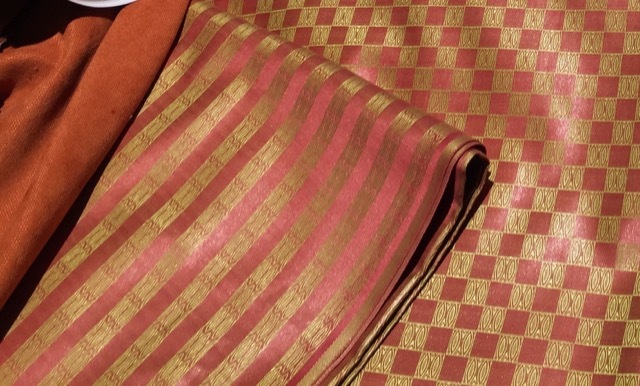 When quality is present, one can’t help but touch fabrics. This post, Heirlooms of Tomorrow Trending, © Bruce Andrews Design, all rights reserved. Our furniture is now available through Nandina Home in Aiken, SC; Jalan Jalan in Miami, FL; Travis & Company in ADAC in Atlanta; and the Ellouise Abbott showroom in Dallas, TX. We will soon be showing in the Ellouise Abbott showroom in Houston and in the Michael-Cleary showroom in Chicago, IL.